Sheraton Batumi hotel - the international five-star hotel, is built in the Black Sea coast of Adjarian Region, ideally located in the heart of the city. Hotel offers luxurious accommodation with 202 Guest Rooms including 26 suites, offering comfortable surroundings with direct beach access and services you expect from five-star hotel. Georgia is a country with a great history, culture and traditions. It is located in the Caucasus between Europe and Asia. Its climate is continental-subtropical, warm and pleasant. Average summer temperature is +250C and winter temperature is +30C.There is a lot of natural sightseeing in Georgia: mountains, glaciers, seas, lakes, rivers, waterfalls, ravines and caves.Our country is characterized by rich relief, variety of climactic zones, unique species of woods, underground thermal waters and therapeutic mud-baths. The country is rich with balneo-therapeutic health resorts; there are 200 kinds of mineral waters with different chemical consent and therapeutic purposes.In Georgia it is developed the sea and mountain tourism according to the geographic location, the sea and mountain resorts are characterized by healthy climate and beautiful nature. Georgia is known all over the world as ancient hearth of viniculture and vine-growing and producing country of high-quality wines. There are 450 local species of grapes. In Georgia the history of viniculture is about 7000 years old, that is confirmed by grape pips and wine bottles discovered by archeological finds. Various and distinctive Georgian architecture is represented by ancient temples, churches and fortresses. 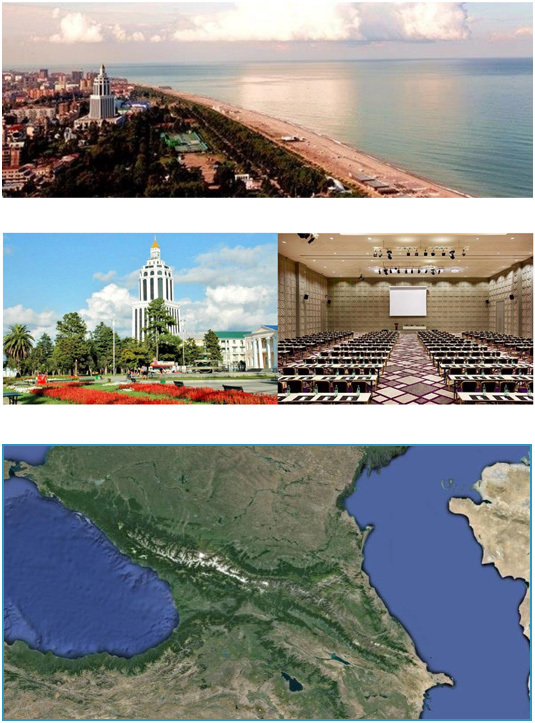 Batumi lies at the northern periphery of the humid subtropical zone. The city"s climate is heavily influenced by the onshore flow from the Black Sea and is subject to the orographic effect of the nearby hills and mountains, resulting in significant rainfall throughout most of the year, making Batumi the wettest city in both Georgia and the entire Caucasus Region. Batumi"s average annual precipitation is 2,718 mm (107.0 in). September is the wettest month with an average of 335 mm (13.2 in) of precipitation, while May is the driest, averaging 92 mm (3.6 in). Batumi generally does not receive significant amounts of snow (accumulating snowfall of more than 30 cm. ), and the number of days with snow cover for the year is 12. The average level of relative humidity ranges from 70–80%. The Georgian “Lari” is in circulation in the following notes: 200; 100; 50; 20; 10; 5; 2; 1. Coins – “tetri”: 1; 2; 5; 10; 20; 50 100 tetris = 1 lari There are numerous exchange posts in the region. Exchange of currency is also available at banks. Please visit http://www.nbg.gov.ge/ for official Lari exchange rates. Georgia has established diplomatic relations with a lot of countries and has the embassies (consulates) in the following countries: Austria, Hungary, Azerbaijan, Armenia, France, Benelux countries, Germany, Iran, Turkey, the USA, Canada, Ukraine, Great Britain, Greece, Italy, Kazakhstan, China, etc. In the 90-es of XIX century there used to function the consulates and consulate agencies of the following countries: England, France, Spain, Turkey, Austria, Belgium, the USA and Italy.